HERE’S A VIDEO WITH ALL THE DETAILS! 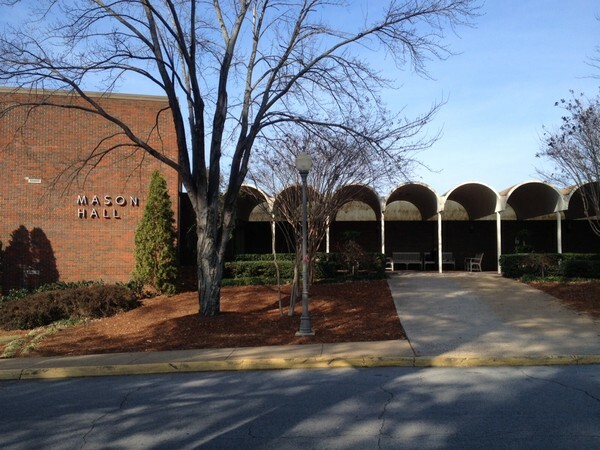 MASON HALL: Turn onto UNIVERSITY Circle from 21 (This is across from the library- the tallest building in Jacksonville). When the Circle Splits (you can go left or right) GO RIGHT to TRUSTEES CIRCLE! It will take you down the hill. Continue until you see the building pictured. We will be on the second floor in the Performance Center.